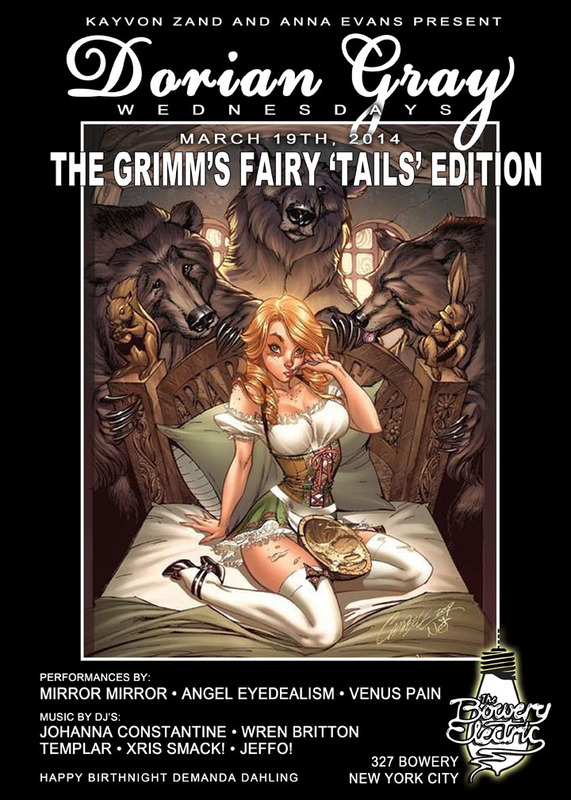 COME DRESSED AS YOUR FAVORITE GRIMM'S FAIRY "TAIL" CHARACTER! **MIRROR MIRROR ON THE WALL, WE HAVE A TREAT FOR YOU ALL! POP-UP PERFORMANCE BY MIRROR KISSES! RESIDENT DJs WREN BRITTON, JOHANNA CONSTANTINE & SEAN TEMPLAR! GUEST HOST BIRTHNIGHT DEMANDA DAHLING! RESIDENT DJs JEFFO! & XRIS SMACK! SPINNING ALL THINGS DARK & AWESOME! :Anna Evans, DJ Jeffo, Dorian Gray, Johanna Constantine, Kayvon Zand, Templar, Wren Briton, Xris SMack!